The theme for the 2016 Appalachian Association hosted by the Paint Rock, Alabama Seventh Day Baptist Church is “Discipleship”. Seventh Day Baptists from churches in Alabama, Tennessee, Ohio, West Virginia, and Pennsylvania will be gathering June 24-26, 2016 at the southern-most Seventh Day Baptist member of this association of Seventh Day Baptist churches. There is full program of activities planned for the weekend beginning with Registration and Dinner on Friday evening, followed by Praise & Worship, an evening message, and time for fellowship afterward. On Saturday (Sabbath), the schedule begins with a Continental Breakfast followed by Sabbath School. There will be Bible Study classes for all ages during Sabbath School: Ages 4-10 will meet in the Fellowship Hall with Steve and Angie Butler, Ages 11-18 will meet in the Christian Education Building with Jane Montgomery, and the Adults will meet in the church with John Griffin. The morning worship will be led by Pastor Shay Rankhorn from the Shepherd’s Fold church in Johnson City, Tennesee followed by lunch at the Paint Rock Senior Center. The afternoon activities include a SDB denominational update by Rob Appel, committee meetings, free time to visit or check out the walking trail by the Paint Rock Senior Center and a cook-out dinner around 5:30pm. Saturday evening is sure to be a blessing and lots of fun with a Musical Service led by Steven Dunn. Seventh Day Baptists are known for their love of music and singing. And if that’s not enough, there is an Ice Cream Social following the evening service! 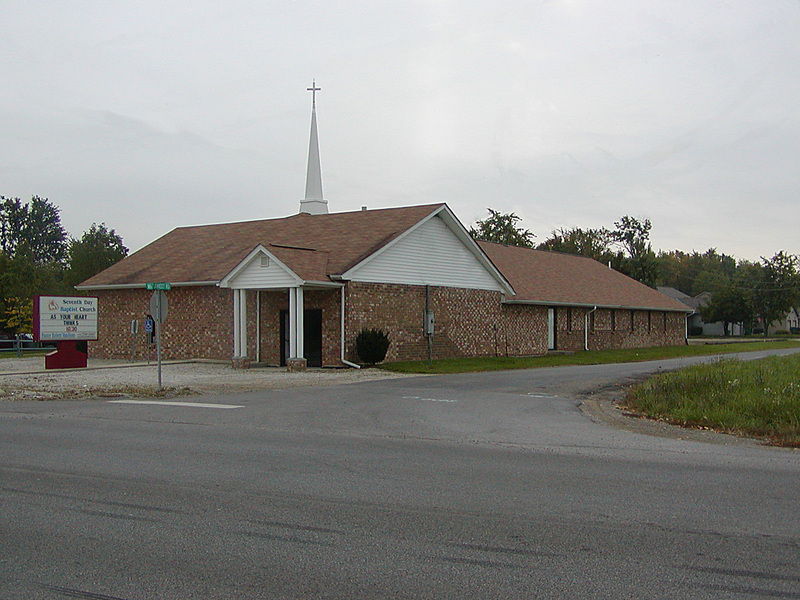 The Paint Rock Seventh Day Baptist Church is located at 92 Williamson Street in Paint Rock, Alabama. There is no cost for the weekend activities, but those traveling will need to arrange for overnight accommodations at one of the hotels (likely in Huntsville or Scottsboro). If at all possible, advance registration is requested by May 31, 2016. Reservations may be made by contacting Steve Butler (256-653-2531, smbutler@nehp.net) OR Angie Butler (256-653-2530, smbutler1833@yahoo.com) Anyone attending from Pataskala Seventh Day Baptist church just needs to let Pastor Robert Van Horn know by May 31st if you plan to attend. The Paint Rock church looks forward to hosting the Association Meetings June 24-26, 2016. May the Lord bless each of you with safe travels!